May as well get this out of the way now. 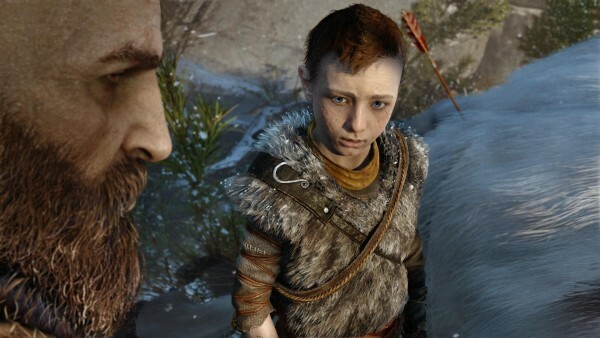 God of War lead level designer Rob Davis told VG247 at E3 today that the God of War demo being shown in LA this week is running at 30 frames-per-second. In response to journalist questions after a behind-closed-doors showing this morning, Davis confirmed the game was running on a “regular” PS4, not the Neo 4K upgrade. The developer said he wasn’t sure of the targeted rate for shipping. No release date has been given for the stunning action title as yet. The Sony Santa Monica game stopped the show last night when it was shown in the Sony E3 press conference, confirming a totally new direction for Kratos. God of War is a close-camera third-person action adventure, now focused on Kratos’s adventures with his son. The demo being shown at E3 is taken from an early part of the game and centres on a boss fight with a Troll during a deer hunt. Be sure to check out the video here.